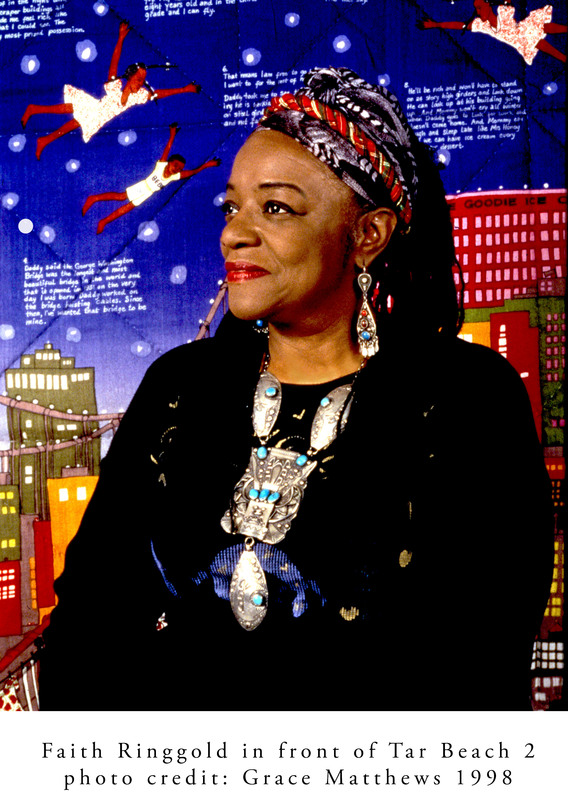 Ms. Ringgold is a painter, writer, speaker, mixed media sculptor and performance artist. She lives and works in Englewood, New Jersey. I always wanted to be a writer, but never knew I would be. I was an artist, even as a child I knew that. Could I be two things? I don’t think most people think of pursuing two professions simultaneously, but they could. People are constantly asking me, now that they know I am a published author, if I have given up painting. And when I began to make paintings in the quilt format they wanted to know if I had given up painting and even before that when I had made masks and sculptures and did performances they wanted to know if I had given up painting. Why do we have to give up something to have something more? We don’t is the answer. We can have all our dreams and often times all we have to do is reach up and grab them, and hold on while we work hard to make them our own. The first step is the idea for the story. When Ms. Ringgold has an idea for a story, she writes it down and practices telling it to her husband, daughters, friends and everyone that may want to hear it. She becomes comfortable with the story and makes it her own by telling and retelling it many times. Ms. Ringgold’s story changes a little during each telling until it’s just right. When the story is finished it’s divided up to fit onto a designated number of pages. There could be anywhere from 1 to 40 pages (there would need to be 1 – 40 sections of text) depending on the project. The sections of text are placed at the bottom of new blank pieces of textured paper. A practice drawing is made (in a seperate sketchbook) to illustrate each section of text. The paintings are made on the textured pages and are based on the practice drawings. The finished drawings and story are sent to the publisher for printing and distribution to book stores, libraries and young students like you. 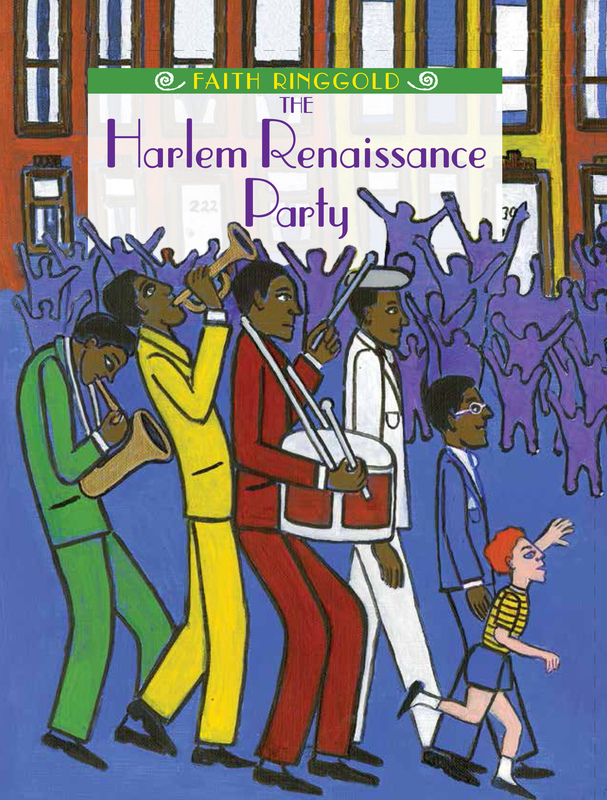 Caldecott Honor artist Faith Ringgold takes readers on an unforgettable journey through the Harlem Renaissance when Lonnie and his uncle Bates go back to Harlem in the 1920s. Along the way, they meet famous writers, musicians, artists, and athletes, from Langston Hughes and W.E.B. Du Bois to Josephine Baker and Zora Neale Hurston and many more, who created this incredible period. And after an exciting day of walking with giants, Lonnie fully understands why the Harlem Renaissance is so important. I love hearing how the story is formed orally before it’s written down. That’s an interesting way to work. What an inspiration. 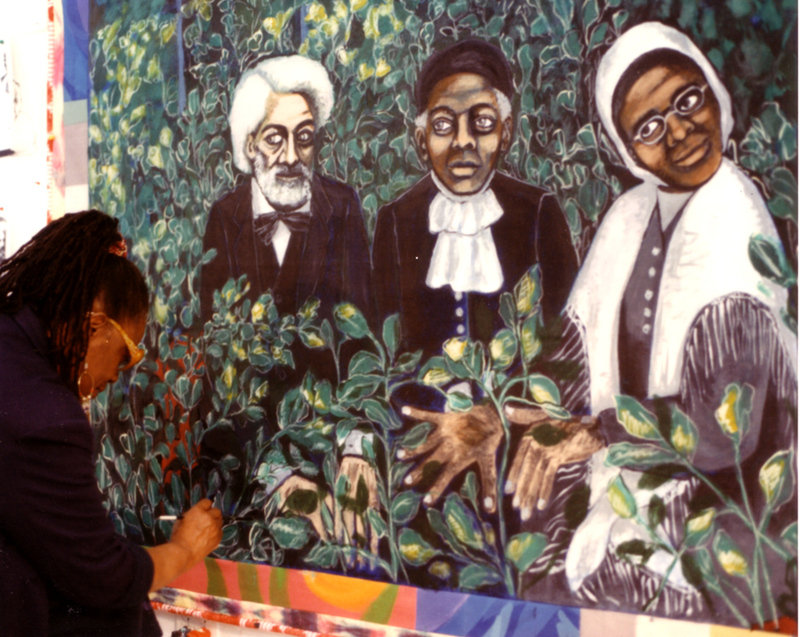 Don’t miss Ms. Ringgold’s work on display at the Susquehana Museum of Art in Harrisburg, PA next month- May (I believe). I love Ms. Ringgold’s work. I love when she stated that we do not have to give something up to have more. That is so true. I often wonder why others think you have to give up something to get more….Thanks for sharing this post. I love the oral telling of stories…That is how I know which stories to write. I tend to tell about an idea. Then my agent says, “Jackie, you are so passionate about it. Then write it.” Whenever someone say I am passionate about something, I know that is my cue to write that story. This was an awesome post.